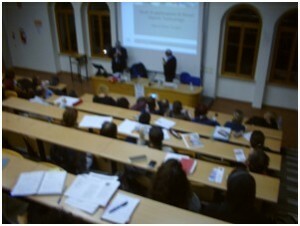 The Seminar, held at the Polytechnic University of Marche of Ancona, showed some applications developed with STELT (Technologies to Enhance Learning and Teaching), a platform that enables the creation of environments IOT based on NFC and RFID-systems Artificial Adaptive Tutoring. 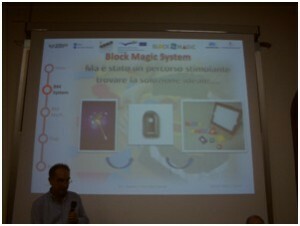 In particular, you have been shown and discussed: a) Block-Magic, a technologically improved version with some teaching material (Blocks Logic and Set) currently used in kindergarten and primary school. For more information see the brochure. The audience of the seminar was of about 50 people (psychologists, educators, specialized teachers of rehabilitation, teachers of public school, professionals from other public services).